Griff Griffith only had two months to prepare his body for the grueling, frigid, Antarctic Ice 100K race. The local ultra-distance runner had gotten word he would be accepted into the 62-mile race at the southernmost point on Earth in December of 2015. Race day was Jan. 20. In order to prepare, Griffith waited until nightfall, when the temperatures were at their lowest, to take to the streets of San Clemente and Dana Point to get his weekly mileage in. Griffith’s preparation and determination were tested on the frozen tundra of Antarctica, were temperatures ranged between 10 and 30-degrees below zero. Although placement in such ultra-distance runs are not something Griffith holds in high esteem, he values crossing the finish line just as much, he won the race. Griffith, 51, trekked the course in a winning time of 12:18.40. The San Clemente Times caught up with Griffith via email days after his win. 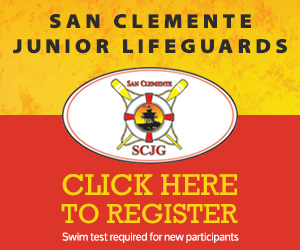 San Clemente Times: How did you get started in the world of distance running? Griff Griffith: I actually started running in college at BYU to help me manage the stress of the accounting program. I found that running was an incredible source of quiet time where I could think, pray and sort things out. I also discovered that I might have a little bit of a gift for distance running … (Eventually) I decided to start running again to help pace a buddy of mine so that he could qualify for the Boston Marathon. After succeeding, I decided that I wanted to shoot for that same goal and qualify for an entry. Within a year or so and after a lot of serious training and critical support from my wife, Steffanie, we did it and I qualified. Eventually, I would run five Boston Marathons and then I became curious again, but this time it was about the budding sport of ultra-marathons. SCT: After you got a taste of ultra-distance running, what kept you coming back? GG: The great thing about ultra-marathons is that that everyone in the race is actually rooting for each other to finish. There is competitor comradery in the sport of ultra-marathon like no other adventure or endurance sport. Because ultra-marathons are any distance over 26.2 miles, it is a great accomplishment to just finish one of the these races, regardless whether they are 50 miles, 62 miles, 100 miles or longer. SCT: How do you prepare your body for such a long run? GG: Most of my training occurs when normal people are sleeping! Because of my busy family and work life, I have found the best time for me to train is between 10 p.m. and 2 a.m. during the week and very early on Saturday morning. 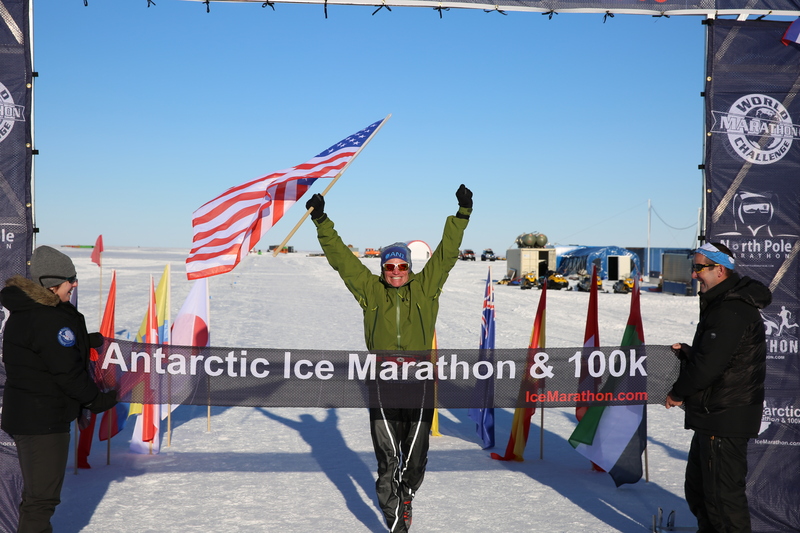 For Antarctica, I was limited to just over two months of training from the day that I got notice. Normally, I would have preferred to train for at least six months for such a race. I decided that I needed to make my training runs long and then allow at least one day of recovery between runs. I averaged about 70 miles per week spread out over three to four runs per week. Running at night also helped to prepare for the cold weather that I would be facing near the South Pole and at least I could start getting used to running with more clothing. I also made several trips to Big Bear and Park City, Utah where I would run up to 20 miles at a time in the coldest weather I could find. SCT: Did anything unexpected happen once you got to the race site? GG: When I first arrived, I decided to head out for a test run where I quickly and with great frustration discovered that my trail running shoes were not providing good traction. I found my body overheating due to the amount of layers I was wearing and my sunglasses were fogging up. A few hours later, I decided to do another test run. Instead of using my snow treaded trail shoes, I switched to my street/road running shoes. . I reduced my clothing layers down from three to two layers and I parted ways with my super warm head mask and opted for a buff that would provide some protection to my head. There were absolutely no guarantees with the changes I made, but I was desperate to try and improve any of the factors from the first test run. It was going to be a game time decision and even a gamble. SCT: That all paid off, apparently. What was the most enjoyable part of your race? GG: One of my favorite parts of running this race was the serenity that I experienced out on the course. Prior to Antarctica, I don’t think that I had ever truly experienced “quiet”, and during much of the race, I found myself running on the ice and the only sound I could hear was from my beating heart and my lungs. This was a surreal experience and made me grateful to God for such an amazing creation and, ironically, for the ability he had given me to be able to run in such an incredibly unique and even mysterious place. Running races for me is always a spiritual experience and I spend quite a bit of my running time praying, but the communication channels in Antarctica seemed clearer than I had ever experienced before. This is a feeling I will never forget. Any possibility you can ask Mr. Griffith to contact me or give me his contact information. The Exchange Club of Newport Harbor would like to invite him to be a guest speaker.